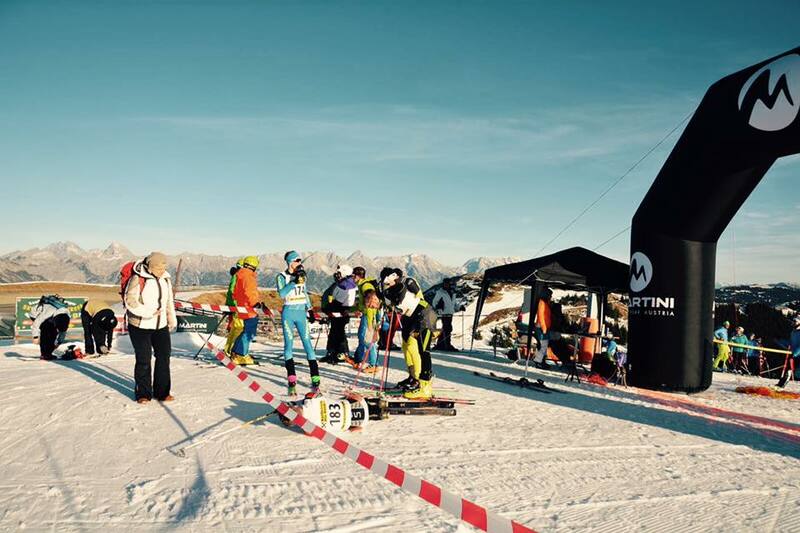 Austrian Championships: Only for members of an ski club, associated to the ÖSV, you must know your ÖSV-Code at the registration. Salzburg Championships Individual: You have to be member of the ÖSV and of a ski club, associates with the local federations SLSV. You don’t have to have the Austrian citizenship. 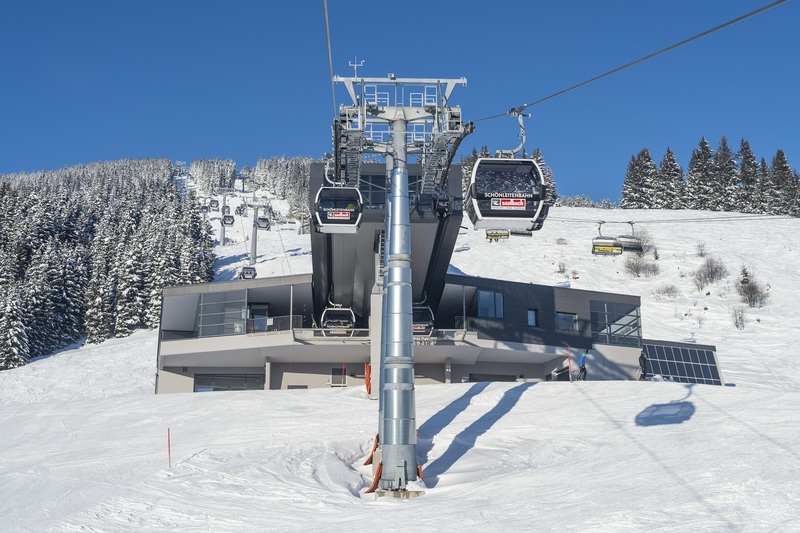 Start: At the middle station of the Schönleitenbahnen (5 km away from Viehhofen, first available access to the Skicirkus Saalbach-Hinterglemm-Leogang-Fieberbrunn), located at 1400 m. Participants can use the first section of the cable car without fees. track: 3 x up from start to finish, 2 x down in descent. 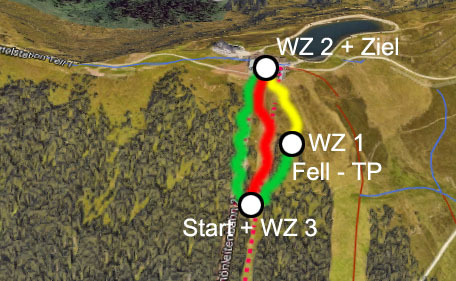 There are 2 different ascents, the left one (1st and 3rd ascent) has a going-by-foot-section at the beginnen, the 2nd one a going-by-foot-section at the end. The downhill is located between the ascents, there are no crossing points! 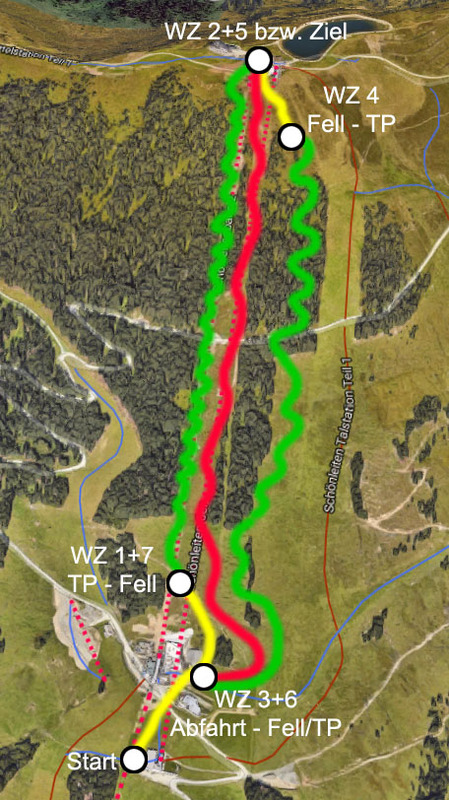 ASCENTS AND DOWNHILLS ARE IN OPEN SKI AREA, NOT ON SLOPES! anti-doping: we are prepared, if there are controls, managed by the NADA. Hopefully, our athletes are clever enough to know, that there exists no good reasons for doping! 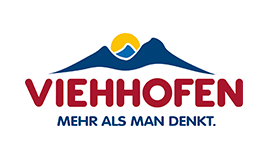 accomodation in Viehhofen: Viehhofen is a part of the big skiing area Saalbach-Hinterglemm-Leogang-Fieberbrunn, so it could be interesting for you to stay over night or maybe even longer. 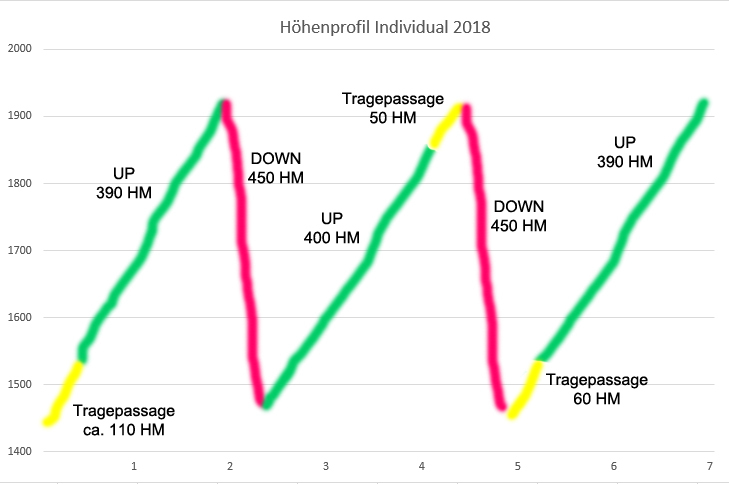 In our area, you can train for the Mountain-Attack in January or you can change to classical alpine skis for a day or so. reglement/equippement: It’s an offical ÖSV-race. The full equippment ist compulsory. Link to the valid ÖSV-race-regulations. insurance: all ÖSV-members are automatically insured, non-ÖSV-members have to furnish proof (if asked) that they also have a valid insurance cover. photographs, videos: All participant allow the organiser (Schiklub Viehhofen & Pinzgau-Trophy) to take photos and videos before, during and after the race. The organiser is allowed to mention names and to publish race informations. furhter informations: Peter Gruber as representative of the organising Schiklub Viehhofen: Telefon 0676/7508270 / phgruber@sbg.at.